It is a need for every sailor to anchor the boat. 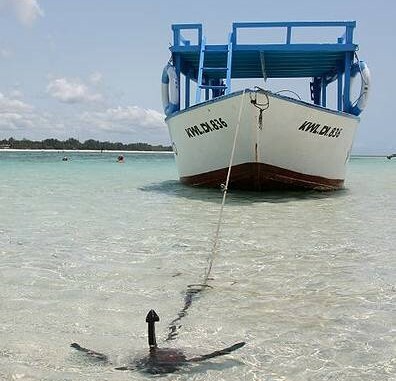 The boat will have to be anchored either to repair any damages, take a swim, and halt in a place or to sunbathe. One needs to anchor properly to avoid capsizing and keep in the location. One needs to choose an area to anchor which will let the boat move. Tide, wind and the current will move the boat even when it is anchored. Look for a place to anchor. Ensure that you check the charts so that you know what is at the bottom when you anchor. Determine how much chain you will need after you have decided the place where you want to anchor the ship. Either a rope or a chain can be used and this will run from the ship to the anchor. From the charts, find out the depth of the water where you are anchoring your ship. Find out the distance between the bow cleat and the water. Add these two numbers and then multiply the sum by 5 for day anchoring and by 8 for the night. The answer will be the length of the rode needed. 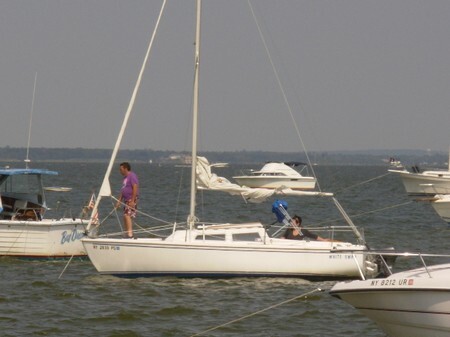 See how the other boaters have anchored their ships. Do the same way as they have. Stop the boat with the bow to the current or the wind and start to motor it back. Lower the anchor of the ship till the time it reaches the bottom and then as the boat drifts back slowly let out the rope or chain. When you back down slowly you can ensure that the chain does not anchor to the bottom and foul the anchor. Back down on the anchor with the engine in idle reverse to set the anchor when all the anchor line has been let out. Be careful and ensure that the anchor line gets caught in the prop. Ensure that you select a spot to anchor with room to swing. Do check for the landmarks as when your ship will move you will need to reset it. Check with the neighbors to find how much rope or chain they are using to anchor their boats. Chances of capsizing increases when you drop anchor from the stern only, so be careful and do not do this.